Kia’s take on the Veloster Turbo in sedan form, anyone? 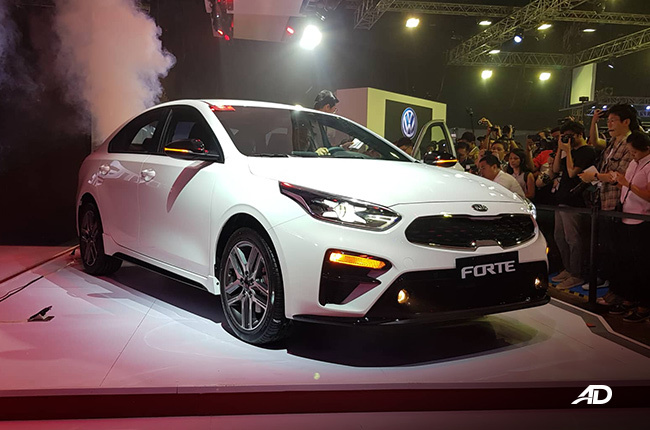 With turbo technology becoming an undeniable force in the automotive industry, Kia follows suit with its compact sedan, the Kia Forte. Receiving a new face, engine, as well as price point, the Korean car can find itself pitted against boosted rivals such as the Honda Civic RS turbo, and non boosted rivals like the Corolla Altis. 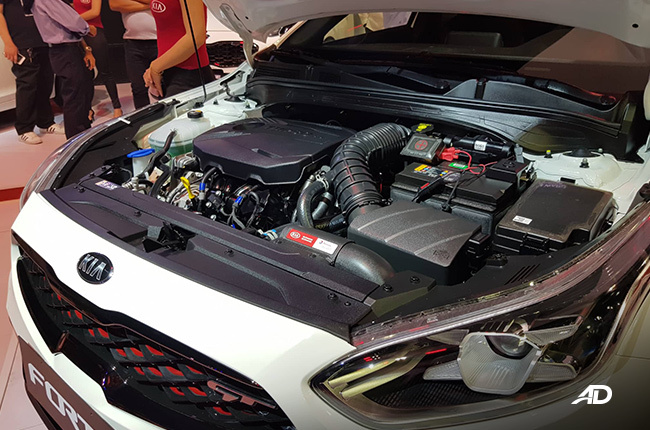 The Hyundai Elantra’s fraternal twin is now back and more exciting with the addition of a range topping GT model with a 1.6 turbo engine, straight from a Veloster Turbo. Kia’s design in previous years was not something a young person would post on their instagram page, but this time, Kia gives you one more reason to look back at this car in the parking lot. 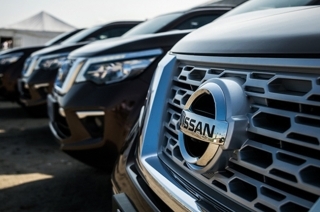 The brand believes in its new design language moving forward. 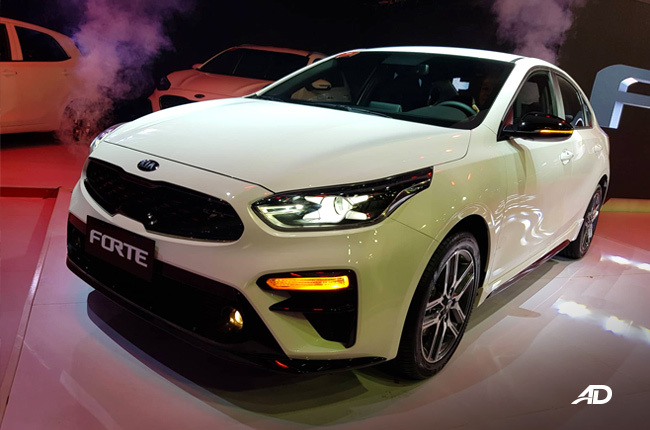 Unboxing this compact sedan alongside the similarly styled Kia Stinger, the new corporate design lends itself well to the Korean brand’s mainstream model as well as its headline grabbing Gran Turismo. The Tiger nose grille features prominently on the front facia. 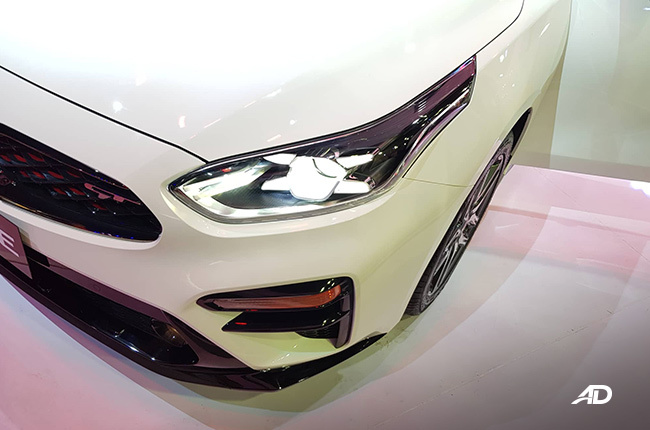 The Bi-function LED headlights give the Forte an intense gaze. 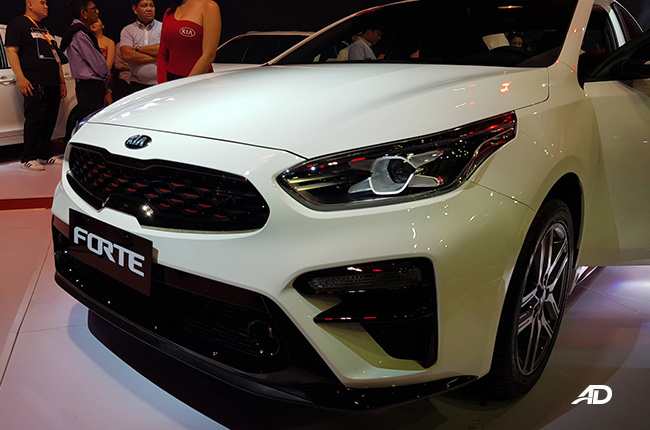 Paired with the new GT design bumper, Kia takes the styling of the Forte up a notch. Moving to the rear reveals a set of LED tail lights with bumper mounted turn signals. An LED bar serves double duty, as a lighting element, and a trunk trim piece. 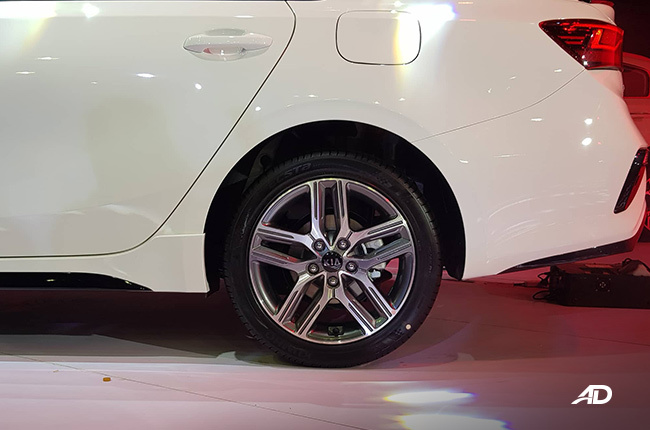 The side profile greets you with the vehicle’s 17 inch alloys. 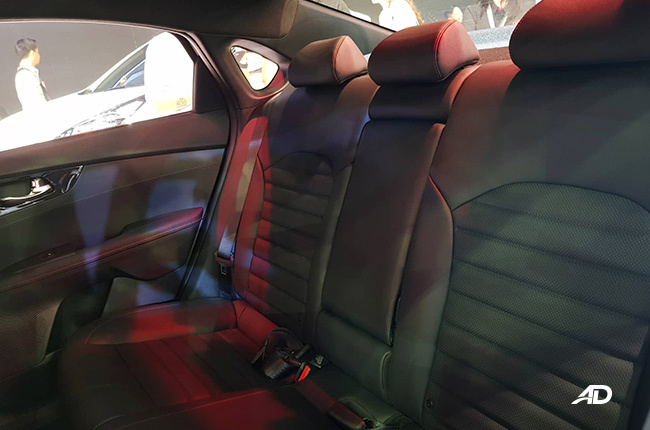 Step in the cabin and see Kia’s stinger DNA is alive and well. The two letters, ‘GT’ is stitched on to the seat in red thread. 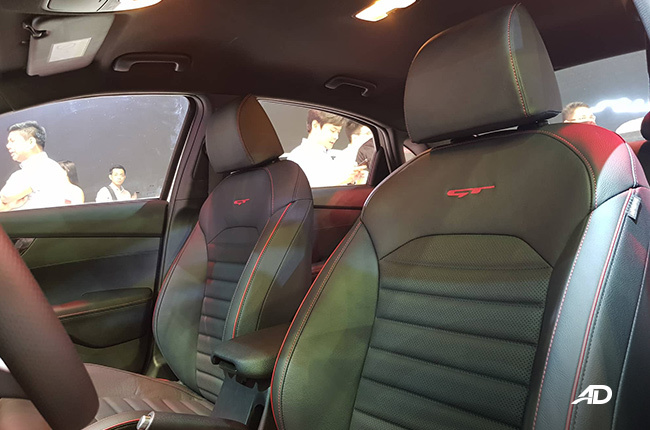 The rest of the seat sports red accents and red stitching all throughout. The steering wheel also features a ‘GT’ badge at the bottom of its D-shaped flat bottom. A floating head unit features prominently in the center of the dash. As mentioned before, the Forte goes turbo. The same engine that is in the new Veloster Turbo can be found in this compact sedan. 201 hp is on tap from the 1.6L turbocharged Gasoline Direct Injection (GDI). The 265Nm of torque that courses through the 7-speed dual clutch transmission (DCT), which is also found in the Veloster Turbo. For all intents and purposes, is this a sedan version of the veloster turbo? Safety features and driver aids are also featured in the Forte. A set of front airbags, rear back up camera, and anti-lock braking system (ABS) comes standard. Hill start assist control (HAC) is available for the GT and EX trims. 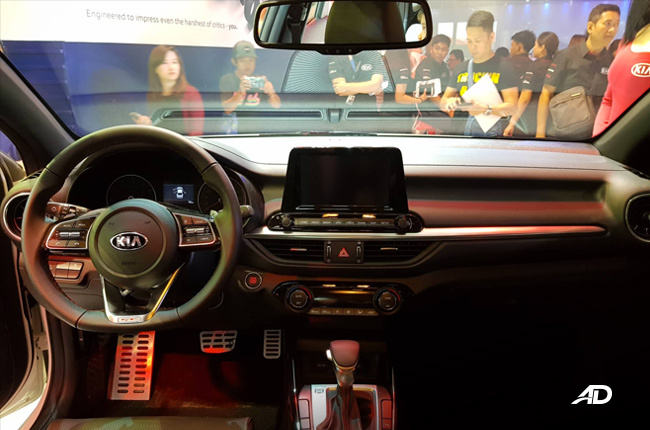 The infotainment system is accessed through an 8-inch screen that floats on top of the dash, and comes with Apple CarPlay and Android Auto. 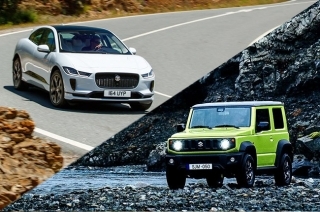 Although the GT is the most exciting of the trims, Kia does offer more affordable naturally aspirated models for those consumers who are shopping on a budget. 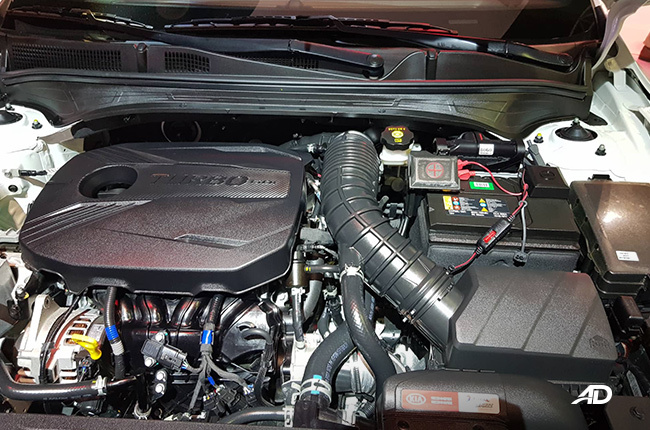 This engine option be the 1.6L Dual CVVT gas engine that produces 126hp with 155Nm of torque. 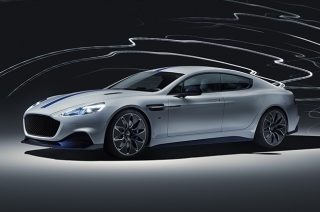 The more sedate engine will be paired off to a 6-speed traditional automatic. The Forte is officially the Veloster’s second cousin in the form of a sedan. 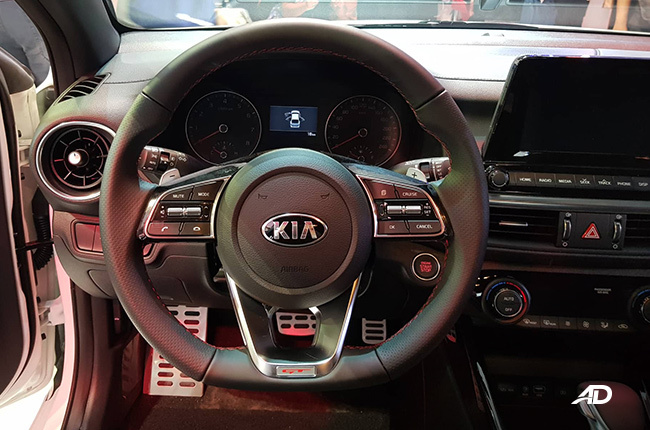 It takes the best that Kia has to offer for the market today and offers it to consumers at P1,095,000 for the base model, and P1,650,000 for the GT model. 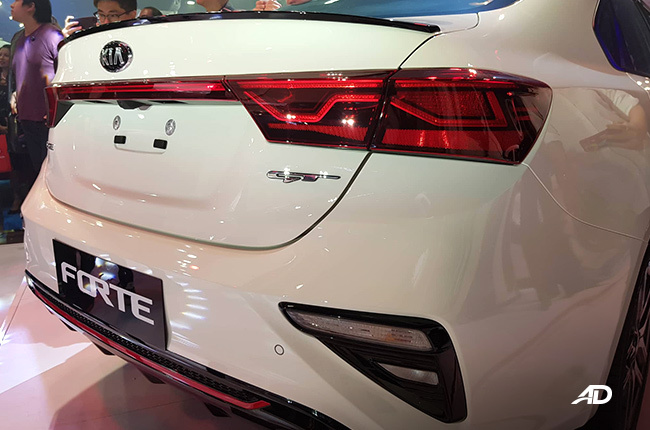 Enticing value from Kia considering the additions that come with being a sedan, such as a trunk and rear passenger space compared to Hyundai’s Veloster Turbo with the same engine.